A doctor investigates a ring of organ thieves in this sequel. Hematologist and stem cell researcher Dr. Joe Parker has survived devious colleagues and mobsters at the Mountville Medical Center in Massachusetts. Now he and his staff are ready to make a fresh start at the James Pemberton Hospital in Providence, Rhode Island. He learns from Laura Feinstein, head of Research Administration, that his work is eligible for a grant from the Center of Biomedical Excellence. The workplace stability Parker seeks proves elusive when he begins dealing with the slovenly, unprofessional head of pathology, Fred Burto. While vacationing, Burto nearly torpedoes the hospital’s grant application by completing his portion at the last moment. Other quixotic members of the Pemberton staff include chief of medicine “Dandy Doc” Barry Heller and surgeon Harry Rossi. Harry has gambling debts that land him at the mercy of a gangster named Marcus Geith, who demands that an important patient not leave Pemberton alive. Foul, illegal machinations proceed, but Parker doesn’t grow suspicious until a healthy, longtime patient suddenly dies of cardiac arrest. This leads the researcher on a trail to discover why so many deaths strike Pemberton. In his follow-up novel, Quesenberry (Not the Best of Places, 2014)—along with debut author Harpel—continues with a blend of medicine, intrigue, and grisly revenge. Audiences will likely be horrified to learn that a black market kidney “could fetch over $60,000” and that a well-organized ring of corrupt doctors might manipulate cases so that “different patient deaths were associated with the same cancer pathologic slides,” making organ theft easier. The tone of the prose walks the line between clichéd and campy in lines like “Fred giggled thinking that these juicy kidneys may not be his lunch, but they were definitely his meal ticket.” Elsewhere, character development—including Barry’s penchant for young boys—is presented in blocks that tell, rather than engagingly show, readers how to react. By the end, the villains face carnal brutality that wouldn’t be out of place in a midnight movie. 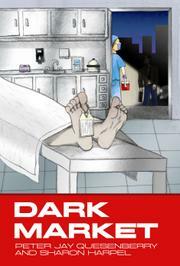 A medical thriller that rushes when it could more effectively creep.